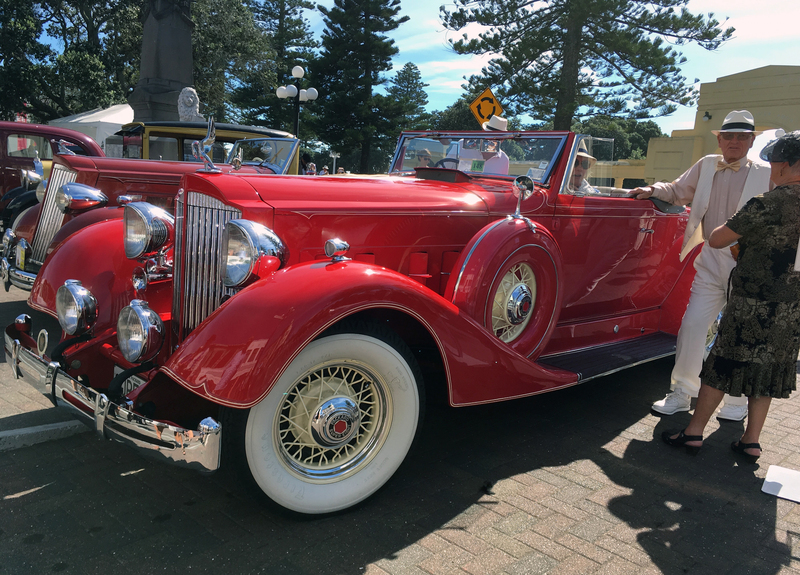 A classic car, a Packard Super Eight. About 300 pre-1947 cars participate in the Festival (cars more recent than 1946 are frowned on). Participants in the Bicycle Belles event. A gazebo on the shore. 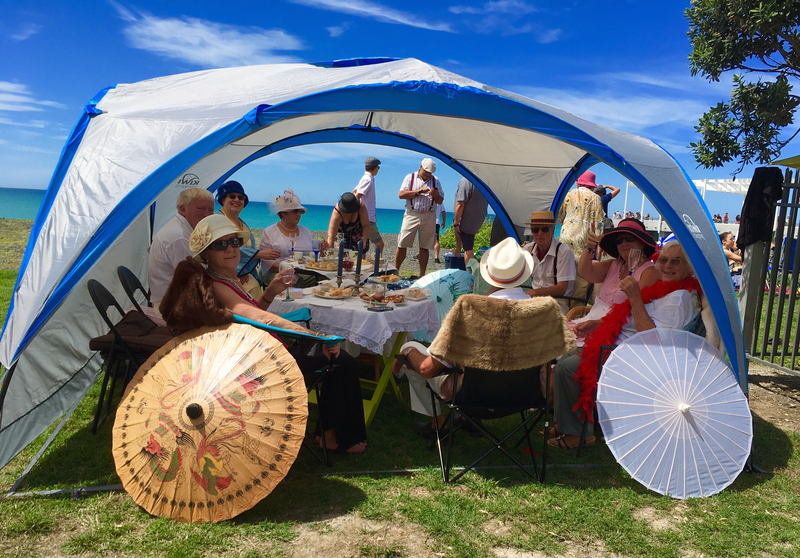 Napier’s Art Deco Festival was held last weekend. 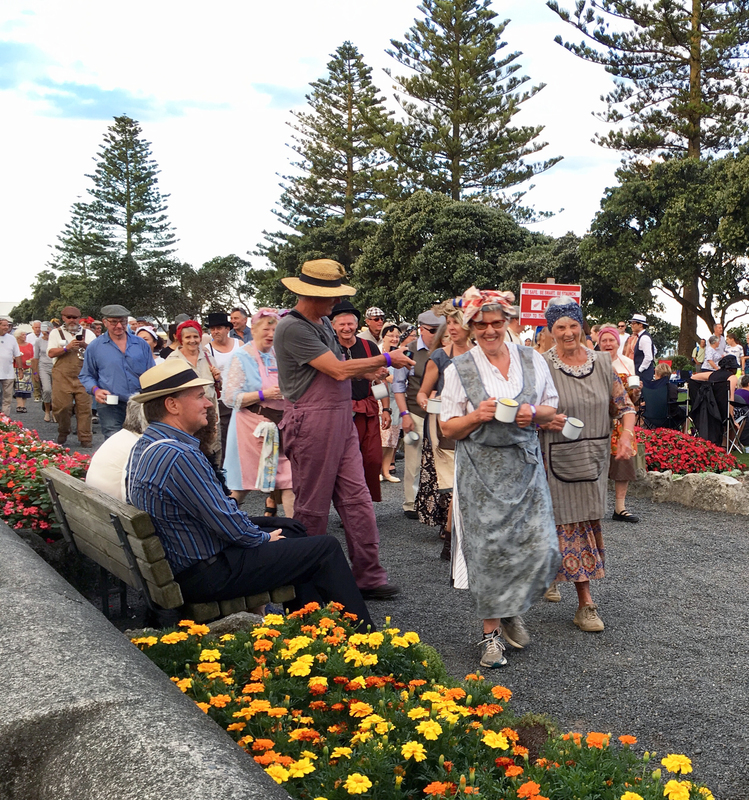 A large crowd, both young and old with many dressed in the clothing of the 1920s and 1930s, came to celebrate the 1930s ambiance. A shoeshine stand and depression dinner march attracted interest from visitors enjoying the sights and costumes. 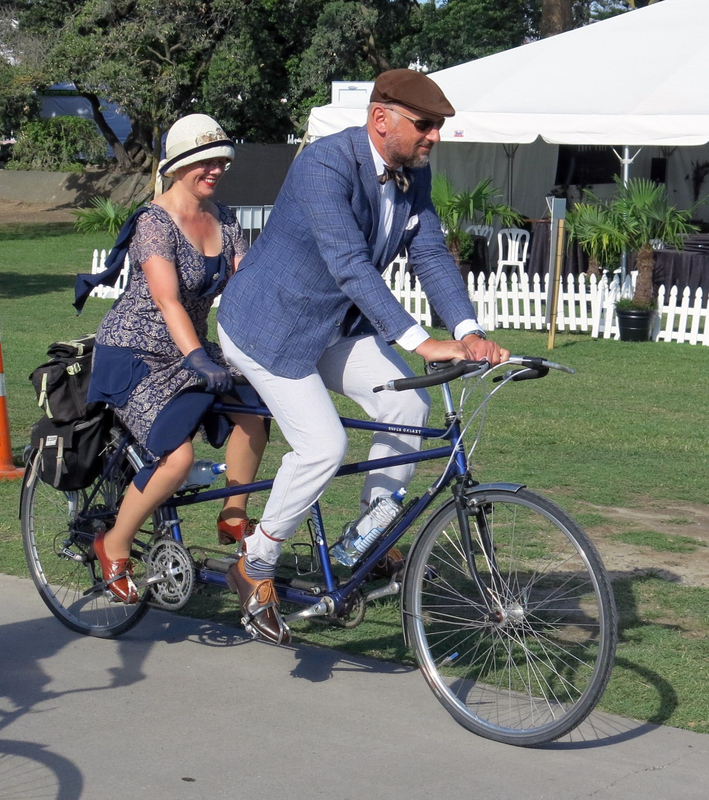 Vintage cars and flashy gazebos were on display while Bicycle Belles rode bicycles from yesteryear along the walkway on Marine Parade. 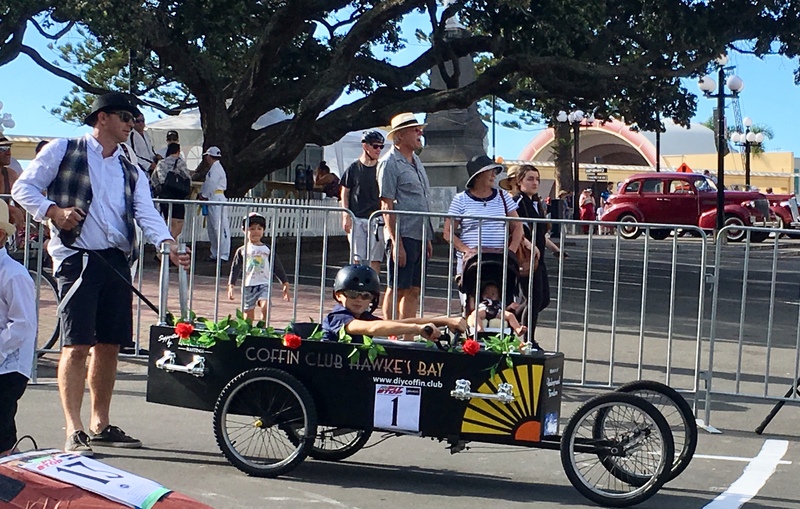 On Sunday youngsters attired in period costume raced down Tennyson St for the soapbox derby. It was all very enjoyable and a wonderful celebration of the community and its spirit.